Peter Beinart is one of America’s most highly-regarded commentators on American politics and foreign policy. He is a Contributor to The Atlantic, Senior Columnist at The Forward, and a political commentator for CNN. He earned his bachelor’s degree from Yale University and was the recipient of a Rhodes scholarship, earning an M.Phil in International Relations from University College, Oxford. Beinart became The New Republic’s managing editor in 1995, a senior editor in 1997, and from 1999–2006 served as the magazine’s editor. He was a senior fellow at the Council on Foreign Relations from 2007–2009 and is currently Senior Fellow in International Security at the New America Foundation. 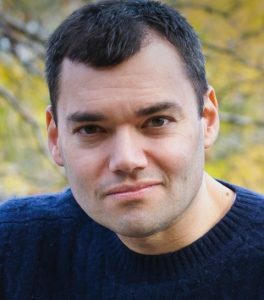 Beinart is the author of three critically acclaimed books, serves as a regular guest on network and cable news programs, and has contributed to a variety of major print outlets, including the New York Times, the Wall Street Journal, TIME, Reader’s Digest, and many others. 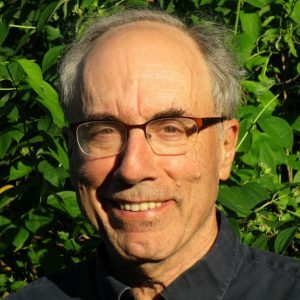 John Judis is the author of eight books, including The Nationalist Revival: Trade, Immigration, and the Revolt Against Globalization (Columbia Global Reports, 2018), The Populist Explosion: How the Great Recession Transformed American and European Politics (Columbia Global Reports, 2016), Genesis: Truman, American Jews, and the Origin of the Arab-Israeli Conflict (Farrar, Straus & Giroux, 2014), The Folly of Empire: What George W. Bush Could Learn from Theodore Roosevelt and Woodrow Wilson (Scribner, 2004), The Emerging Democratic Majority with Ruy Teixeira (Scribner, 2002), and The Paradox of American Democracy: Elites, Special Interests, and Betrayal of Public Trust (Pantheon, 2000). He has written for numerous publications, including The New Republic, The National Journal, The New York Times Magazine, Mother Jones, and The Washington Post. Born in Chicago, he received his B.A. and M.A. degrees in Philosophy from the University of California, Berkeley. He lives in Silver Spring, MD. 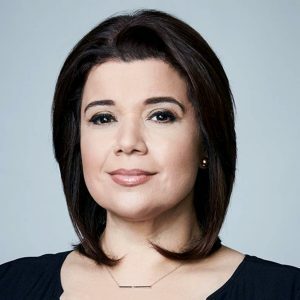 Ana Navarro is a well-known Republican strategist and a political analyst for CNN and CNN en Español. She is also a political contributor for Telemundo and ABC’s The View. Respected on both sides of the aisle for her straight shooting and candor, Navarro frequently appears in the media, sought after by programs such as Meet the Press, Bill Maher’s Real Time, and Anderson Cooper 360. She earned her B.A. in Latin American studies and political science from the University of Miami and a J.D. from St. Thomas University Law School. She was born in Nicaragua, and in 1980, as a result of the Sandinista revolution, she and her family immigrated to the United States. Her political experience includes serving as the national Hispanic co-chair for Governor Jon Huntsman’s 2012 campaign and the national co-chair of John McCain’s Hispanic Advisory Council in 2008, where she was also the national surrogate for the McCain 2008 campaign. She served on Governor Jeb Bush’s transition team in 1998 and was his first director of immigration policy in the Executive Office of the Governor. In 2001, she served as the U.S. ambassador to the United Nation’s Human Rights Commission. In 1997, she was a special advisor to the government of Nicaragua and was one of the primary advocates for NACARA (Nicaraguan Adjustment and Central American Relief Act).